At ARCA Organics, 100% of the profits benefit the nearly 700 children and adults with intellectual and developmental disabilities in ARCA’s care. 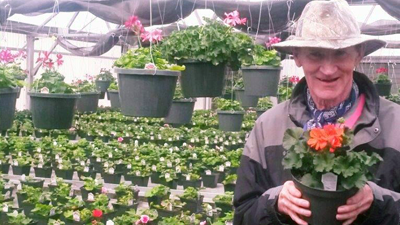 Located in Corrales, New Mexico, our organic agricultural practices provide employment for people with intellectual and developmental disabilities and quality food for our community. ARCA Organics grows certified organic produce including garlic, greens, micro-greens, tomatoes, and a wide assortment of culinary herbs. ARCA Organics is certified organic through the New Mexico Department of Agriculture Organic Program. 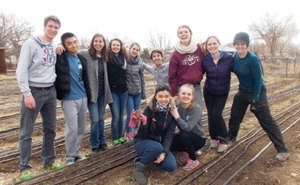 Inspiring volunteer opportunities are available at ARCA Organics. If you would like to find out how your team can volunteer, please contact our coordinator via EMAIL. If you would like to volunteer as an individual, please click here to sign up. Heartfelt thanks to all our community partners for helping ARCA Organics, and our very special farmers, shine.